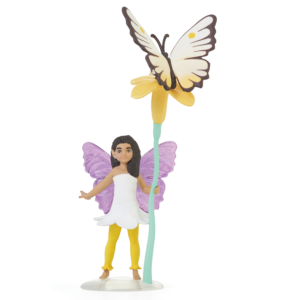 The lovely fairy comes with a pretty flower, butterfly and child’s hair clip! 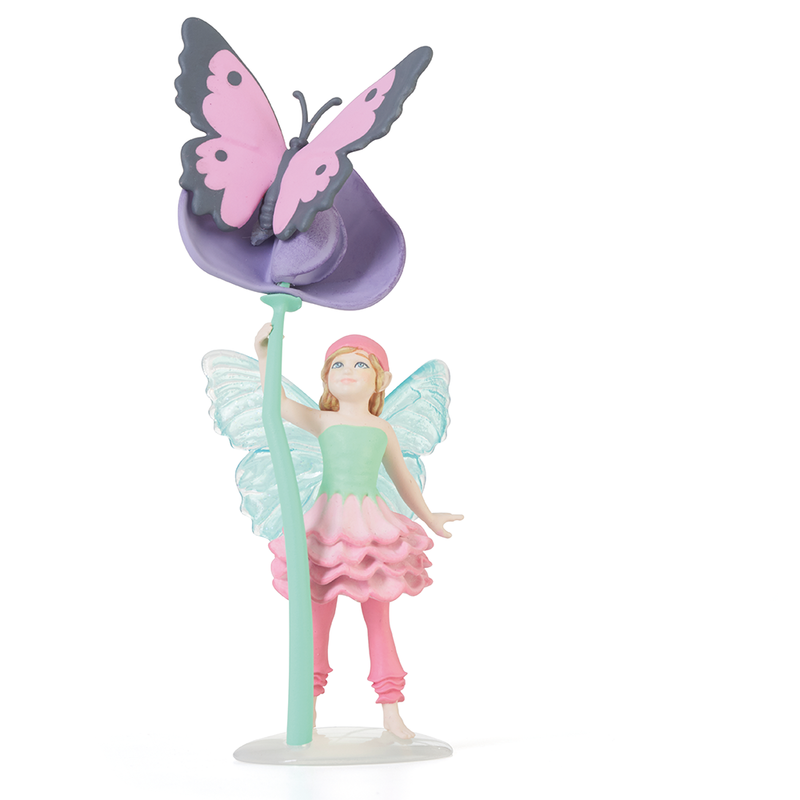 The fairy’s flower smells just as the name would suggest, like roses! 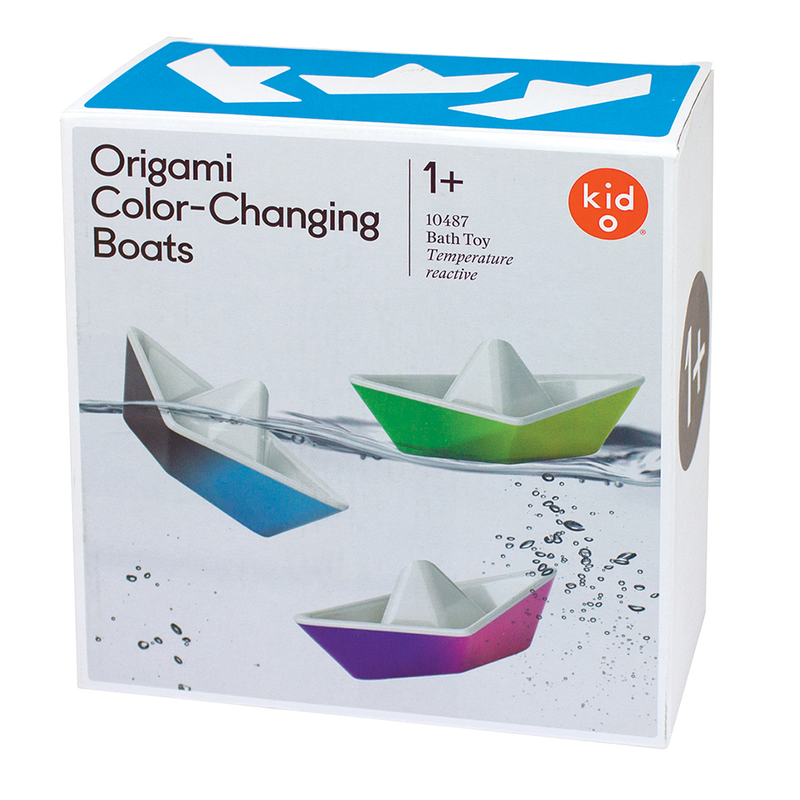 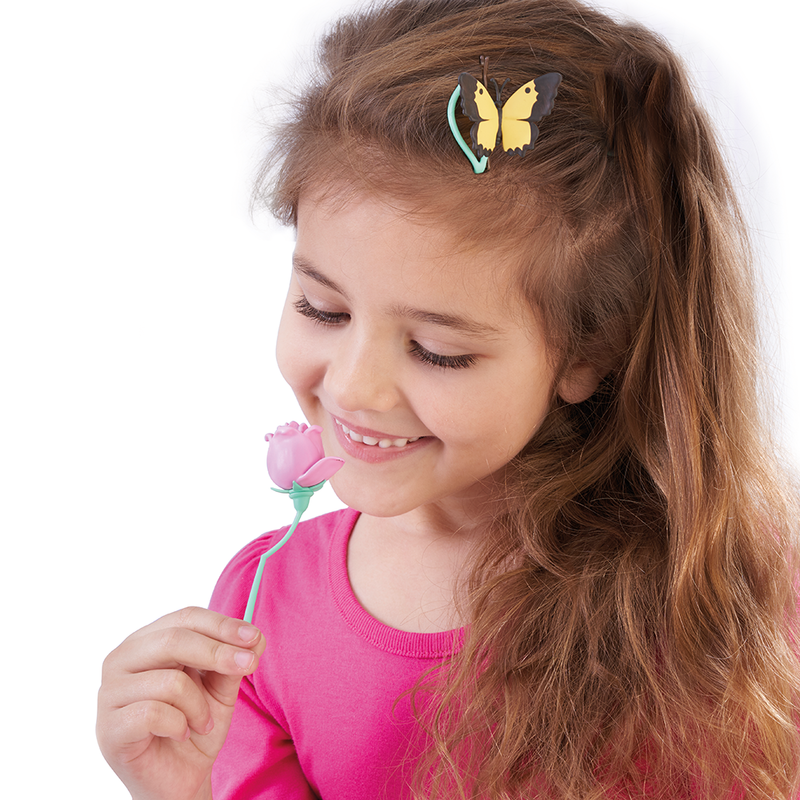 The butterfly is a fun play accessory, or can be attached to the hair clip and worn as a barrette! 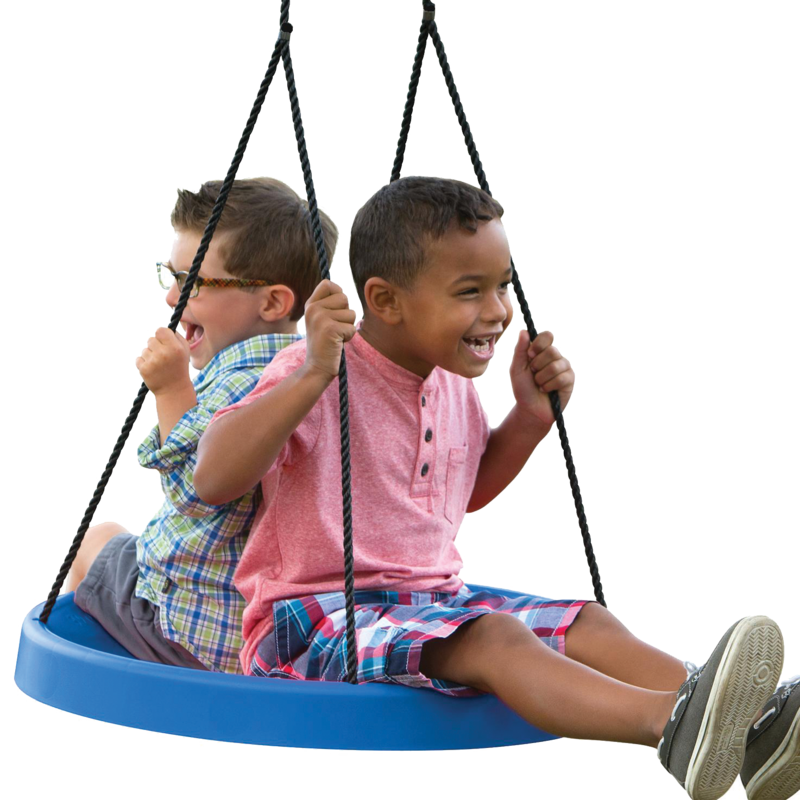 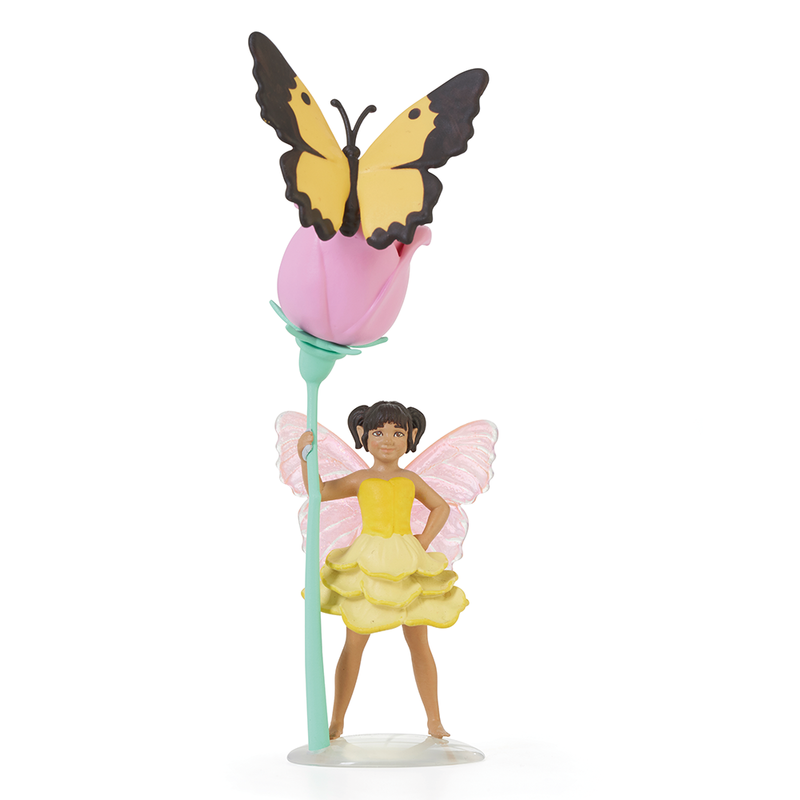 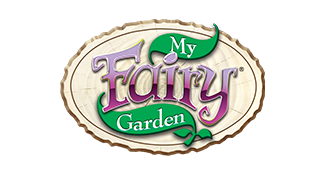 This fairy is fun to play with on her own, or makes a perfect addition to any My Fairy Garden playset!